Every country has its own traditions surrounding the upcoming holiday season. Did you know, for instance, that in Portugal, children write to the baby Jesus to ask for presents? Or that the typical Portuguese Christmas Eve meal (eaten after Midnight Mass) consists of cod with cabbage and boiled potatoes? Or that whoever finds the raw bean in the Bolo Rei (fruitcake) has to provide the fruitcake for next Christmas? Why all this talk about Portugal, you may well ask? It’s because our December issue celebrates the horn players of this beautiful land! Learn why our interviewee of the month, Abel Pereira, feels such a strong connection to the sea. Find out where Ricardo Matosinhos gets his inspiration for his compositions. 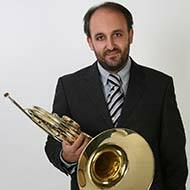 Get to know the horn quartet "Trompas Lusas” through the eyes of founding member, Bernardo Silva. 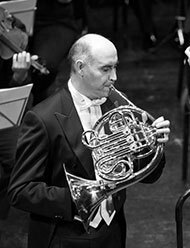 See what Jonathan Luxton, former solo horn in the Gulbenkian Orchestra in Lisbon, has been up to lately in our Photo of the Month. 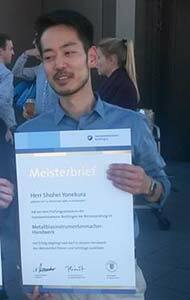 Moving away from Portugal, we feature Shohei Yonekura in Meet Your Makers. Rodolfo Epelde offers excellent advice (with great graphics) in the pedagogy column. I’d like to say a special thank you here to our translators this month, who have gone well beyond the call of duty to make this issue multilingual: Jonathan Hammill, Juan Carlos Porras Castro, and Rebecca Holsinger. Thank you also to Ricardo Matosinhos for saving us the work and writing in Portuguese and English. We couldn’t have done it without your time and talents. Safe travels and happy gigging during the coming month, however you celebrate. Feliz Natal to our Portuguese-speaking readers! Kristina Mascher-Turner: When I think of Portugal, I think immediately of the sea, the long maritime tradition, the beautiful coastline, fresh seafood, the salty air…Your family roots are steeped in this tradition. Can you tell us what it was like spending so much of your childhood on the ocean? Abel Pereira: Yes, that is true. My childhood playground was the beach. Not a day went by that I didn’t spend time there. In the summer we would go surfing all day long, even at night, and on winter evenings we would make fire pits in the sand waiting for our moms to come get us, sometimes waving wooden spoons if it was too late! I used to play with my friends jumping from boat to boat, imagining we were in pirate battles. Sometimes I would even skip school to go out on the water with my friends in small sailing boats that had been abandoned by the coast. We had no idea how dangerous that was, but for us, those were the biggest adventures!!! Usually on weekends if the weather were good I would go out on the water with my dad, helping the fishermen on the sea front. That was one of my favorite activities. KMT: What was your first encounter with the horn? Was there a distinct moment when you knew you wanted to spend your life playing? AP: Well, when I was about 11(?) our neighbors experienced a tragic incident and my dad, concerned for my safety, no longer wanted me to spend weekends on the boat with him. Instead I started playing the horn with my town’s marching band. 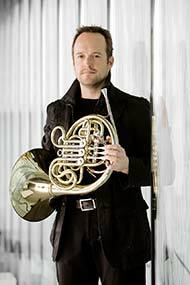 I fell in love with the horn right from the beginning, especially after listening to Hermann Baumann’s sound, but at first I thought it would be something I did just for fun. At that time I couldn't imagine myself doing anything that wasn’t connected to the ocean. At the age of 14 though, after discovering the beauty of Brahms, Strauss and Mahler, my heart felt very divided between the sea life and the music world. I thought I had two options, either work on the boat during the week and play my horn on weekends or play my horn professionally and have some fun on weekends with the boat. Obviously I chose the second option. KMT: You’ve studied both in Portugal and in Germany. 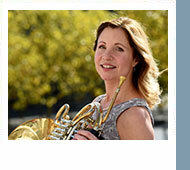 Is there a significant difference in the horn playing traditions between the two countries? AP: Yes, there is a big difference between these two countries. Germany has a 300-year-old tradition of horn playing during which they have created their own style. It’s a country full of great orchestras and amazing players. Through the years some of the orchestra’s horn sections may have developed more individually but the core of the style remains very strong. In Portugal the situation is very different. There is no strong tradition yet but rather a mix of styles. There are few orchestras in the country and most are not more than forty years old. When these orchestras were created there were not enough professional musicians to fill the spots so they had to import some musicians. Now there are some very good musicians and teachers but many of them come from different places like the US, France, Czech Republic and England, and with them they bring their own playing traditions! 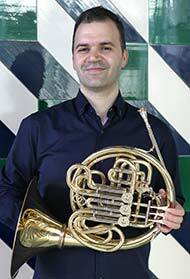 João Gaspar and his horn quartet were organizing a horn workshop. He wanted me to do an interview talking about my 30 years in the Gulbenkian Orchestra, teaching for 26 years in the Escola da Música Lisboa (ESML), and my life in Portugal. It was filmed and recorded, and an article came out in a Portuguese magazine. I'm not sure how my Portuguese was as I was suffering a little from jet lag (I’d just returned from China, on my last big Gulbenkian tour). After the general introductions, the interview started with João asking me why I'd come to Portugal to play for Gulbenkian. I explained that I had seen an ad in the Saturday Telegraph and had auditioned in London. I was not the first choice - that accolade went to Andy Antcliffe, now in the BBC. He didn't take the job, so they rang me. After some negotiating and doing 3 weeks here and there with the Gulbenkian Orchestra, I decided it was the job I wanted. The Orchestra was at that point only a chamber orchestra. Over the next 5 or 6 years, they started to play an ever-larger repertoire. I insisted on having 4 horns. They accepted, but we never got the 5th horn, even though our repertoire needed one. 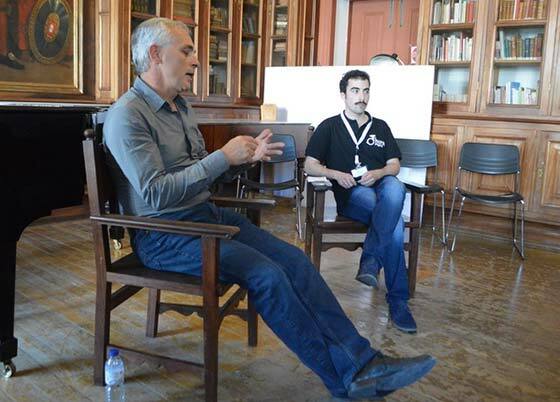 Then we spoke about teaching and the legacy I was leaving in Portugal. I was honest and said that when I first came to Portugal, the general horn playing level was not what it is now. There were some good players, but they were few and far between. I'm a firm believer that beginners need the best teacher. It's quite easy to motivate students at University level, and if they arrive with their technique sorted out it makes teaching them easy. In my first few years, I taught at various Professional Schools (6th-12th grade) before starting at the ESML. Quite a lot of my ex-pupils were at this workshop. Paulo Guerreiro, (principal in OSP; also playing the Sao Carlos Opera), said that Bohdan Sebastik and myself were responsible for players such as Abel Pereira, Jose Bernardo Silva, Filipe Abreu and Paulo (and of course others). These wonderful players go on to teach, thus raising the level. The younger students take inspiration from their peers, and so the cycle goes on. I congratulated Paulo on taking over my position at the ESML and continuing to produce wonderful players like Ana Beatriz Menezes. Black Friday and Cyber Monday have passed but you can still support the International Horn Society by shopping at Amazon Smile. Desde cedo me interessei pela composição, tendo começado a esboçar pequenas composições aos 14 anos de idade, durante a formação comum a todos os músicos. Dediquei-me, entretanto, ao estudo aprofundado da trompa e só mais tarde, assim que comecei a leccionar, é que a semente da composição que havia sido lançada durante os seus primeiros anos de formação, começou a florescer com composições pedagógicas para trompa, motivadas pelo défice de repertório que encontrei em algumas áreas. Nas minhas composições podem encontrar-se influências do jazz e da música do mundo, com sonoridades por vezes próximas a Arkady Shilkloper, um trompista cujo trabalho admiro muito. O facto de ter tido algumas aulas com o saxofonista de jazz Mário Santos também veio a influenciar em muito o meu estilo composicional. Nas minhas obras pedagógicas está igualmente presente a minha experiência enquanto professor, onde diariamente observo as dificuldades que os alunos apresentam, procurando construir desafios para que estes as vençam ou pelo menos comecem a domesticar este instrumento feroz, que é a trompa. A primeira área que abordei foram os estudos, elementos essenciais à formação de qualquer trompista, com os quais é possível solidificar o trabalho técnico e interpretativo. Como o próprio nome indica os estudos são para estudar, contudo, os alunos tendem a desvalorizar a sua importância em detrimento das peças. Pensei, então, numa forma de incentivar os alunos, usando diferentes tipos de sonoridades para tornar o trabalho mais apelativo, já que o estudo tem de ser diário, pelo menos que seja feito com muita diversão à mistura! Algo transversal à minha escrita pedagógica é a ideia de que não conseguimos evoluir, se tudo for demasiado fácil ou demasiado difícil. Assim é necessário encontrar um equilíbrio que propicie a evolução para que, se uma obra for difícil ou mesmo muito difícil num determinado aspecto, terá de ser fácil ou mesmo muito fácil noutros. Muitas das minhas obras mais avançadas parecem muito difíceis numa primeira abordagem, mas na prática há sempre alguns elementos que as fazem soar mais difíceis do que realmente são. As Trompas Lusas são um quarteto de trompas português, fundado no ano de 2010, e que está radicado na zona do Porto, norte de Portugal. O projecto nasceu de uma relação de amizade de vários anos. Fizemos a nossa formação inicial na mesma escola, Artave, e fomos convivendo regularmente tocando inicialmente em Bandas Filármonicas, e mais tarde colaborando em várias orquestras. Durante anos tivemos em mente o projecto de criar um quarteto de trompas, pelo grande prazer em fazermos música de câmara e podermos fazê-lo entre amigos. Em 2010 aconteceu o nosso primeiro concerto, surgiu a oportunidade de apresentarmos o Konzerstück para 4 trompas de Robert Schumann. Foi em Espanha, com a Orquestra Sinfónica da Cidade de Pontevedra. Esta fantástica obra foi um enorme desafio para um grupo que estava a começar, mas os sucessivos ensaios e o resultado do concerto deu-nos a motivação necessária para continuar com o projecto. Passados 5 anos, em 2015 voltaríamos a interpretar o Konzertstück de Robert Schumann em mais um par de concertos. Os meus colegas das Trompas Lusas são músicos freelance, colaborando de forma regular com várias orquestras portuguesas. Uma dessas orquestras é a Orquestra Sinfónica do Porto, orquestra da qual sou membro efectivo desde 2000. São também professores bastante activos, lecionando em algumas das principais escolas desta zona do país. Bruno Rafael leciona na Academia de Música de Guimarães, Universidade do Minho e Escola Profissional de Música de Viana do Castelo. É membro da Orquestra de Guimarães. Somos colegas há 23 anos e para além da paixão pela trompa, partilhamos a paixão pelo futebol e pelo mesmo clube Sporting Clube de Portugal!! Nuno Costa leciona no Conservatório do Vale do Sousa, Escola Profissional de Música e Academia de Espinho. É membro da Orquestra de Guimarães. Muito prestável e polivalente, tanto toca trompa grave como aguda, sendo também o responsável por manter as contas do grupo equilibradas!! Hugo Sousa leciona no Conservatório Regional de Vila Real, Academia de Música Sociedade Vizelense e Academia de Música de Vila Verde. É o membro mais jovem das Trompas Lusas, em jovem chegou a ser meu aluno e sem dúvida um dos alunos mais talentosos com quem tive oportunidade de trabalhar. Grande especialista de trompa grave, é um músico muito seguro. Fora da música é um apaixonado por desportos radicais, em especial downhill mountain biking! 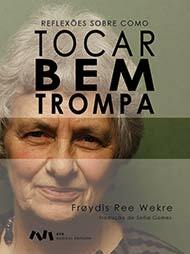 A trompista Frøydis Ree Wekre é bem conhecida da comunidade internacional de trompistas. Quem já esteve com ela lembra-se sempre da sua boa disposição, ideias e do saco de acessórios de onde saem soluções engenhosas para muitos problemas dos trompistas. O seu livro Thoughts on Playing Horn Well existia já em Inglês, Francês, Alemão, Checo, Polaco, Húngaro, Japonês... ficava a faltar o Portugês! Falei com ela, que se mostrou receptiva, encontramos um editor (AvA Musical Editions) e um tradutor Sofia Gomes (minha esposa). A tradução foi um processo colaborativo entre mim, a minha esposa e a Frøydis: a Sofia fez a tradução, eu participei enquanto trompista, ajudando com os termos mais técnicos, os excertos musicais, a capa e a comunicação com a Frøydis. Com esta importante tradução agora as suas ideias podem ser divulgadas por Portugal, Brasil e mesmo os mais novos podem entender pois já não existe a barreira da língua. En mis casi treinta años como trompista profesional, y más de veinte como profesor, a menudo he necesitado crearme modelos acerca de diversos aspectos relacionados con la interpretación, tanto para mis propias necesidades como para ayudar a mis alumnos. Dado que la forma en que se produce el sonido en los instrumentos de metal no es tan evidente a simple vista como en los instrumentos de cuerda, teclado, o incluso de viento madera, me ha sido muy útil crear analogías entre éstos y la trompa en diversos aspectos (producción del sonido, ampliación de la tesitura, articulación, etc.) para entender y explicar su funcionamiento. Creo que el haber realizado estudios de ingeniería me ha llevado a tratar de encontrar soluciones racionales a diferentes problemas, aunque tengo que decir que mis métodos han sido siempre empíricos y nunca científicos, es decir, que mis observaciones no han sido realizadas con aparatos de laboratorio, sino que proceden de mis propias sensaciones y las de mis alumnos. Cualquier alumno conoce (o se le puede mostrar fácilmente) el funcionamiento básico de un piano y un violoncello: en el primero los martillos, accionados por las teclas, golpean unas cuerdas mantenidas a la tensión necesaria por un bastidor metálico y unas clavijas que las sujetan contra el puente, y en el segundo prácticamente todo es similar pero, en lugar de martillos, tenemos las cerdas de un arco que, al rozar con las cuerdas mantenidas a la tensión justa, nos dan una vibración de la frecuencia buscada. Todo ello amplificado, en ambos casos, por una caja de resonancia.